Johnson Vann Interiors is a full-service design firm located on St. Simons Island, Georgia. 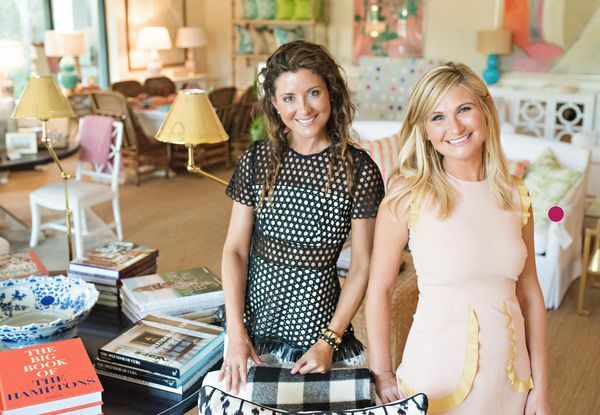 The collaboration of two seasoned designers, Adrian Johnson and Bethany Vann, boasts a wide range of clientele including high-end residential, hospitality and commercial projects for The Sea Island Company. Established in 2009, Adrian and Bethany’s attention to detail, impeccable taste, and industry knowledge combine to create spaces that are seemingly effortless, yet strikingly memorable. The duo offers expertise in every aspect of the design process from initial floor plan creation and finish selections to upholstery and accessory selections. Their style is recognized as a noteworthy mix of traditional elements with a fresh perspective. Adrian, originally from Marietta, Georgia is a graduate of the University of Georgia with a Bachelor’s Degree from the distinguished Lamar Dodd School of Art. As an active mother of three, Adrian offers her clients an unparalleled combination of polished taste, an appreciation for the practical, and a keen eye for elegant details. A native of Perry, Georgia Bethany earned her Bachelor’s degree in Interior Design from Auburn University, which boasts the No. 1 design program in the country. As a licensed interior designer (having passed the NCIDQ in 2009), Bethany seamlessly balances the joy of raising two children with her design skillset. She offers clients thoughtful concepts that are fresh, bright and thoughtful.